The relaxing breeze, the energising light from the sun, and that tranquil clashing of the waves—these are only some of the things you will relish once you isolate yourself from the daily grind and go fishing. Contrary to what people say, fishing is more than food and survival. It’s one fantastic way to commune with nature in the company of your family and a couple of good friends. 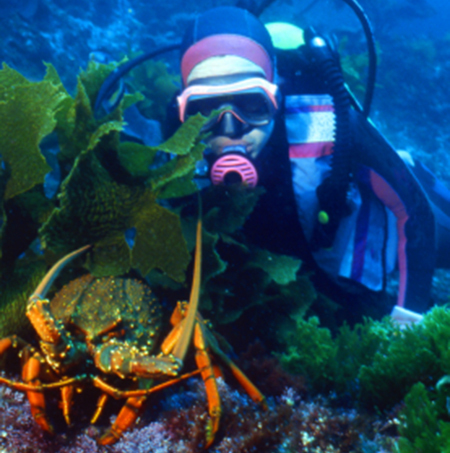 We also offer diving trips for brave souls who want to navigate the depths of the sea. We have a team of professionals that will help you master the basics of fishing. We will even help you learn the art of being still and patient, knowing that fishing gives room for meditation or contemplation. To learn more about the trips and other adventures, feel free to browse our other pages. You can contact our customer service department if you’ve made up your mind to become part of our next excursion. Full day and overnight fishing trips for Marlin, Tuna, Sword Fish and Shark can be arranged. Charters departing from Tauranga and Mt. Manganui. 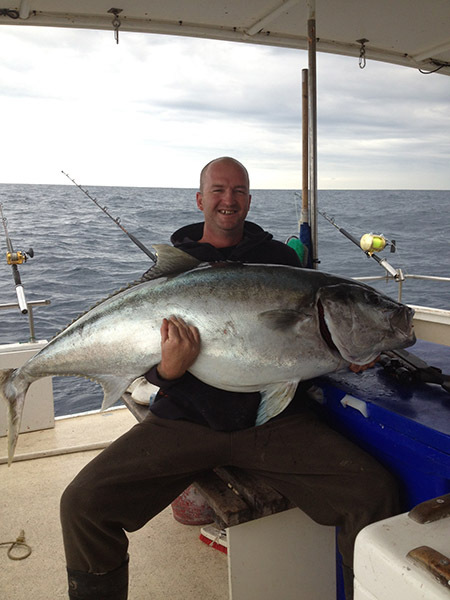 The kingfish fishing in and around the Bay of Plenty is the best in the world. Charters for kingfish fishing can be arranged for day fishing trips or overnight fishing trips. 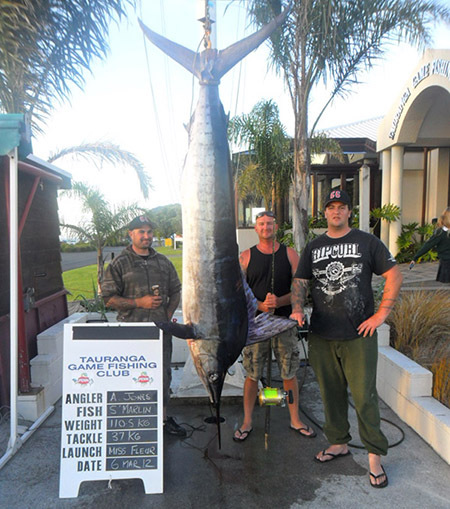 Check out some of the kingfish caught out of Tauranga. 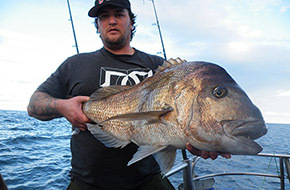 Fishing trips for Hapuka and Blue nose run all year departing from Tauranga and Mt. Manganui, fishing the Penguin rise and Mayor Island. 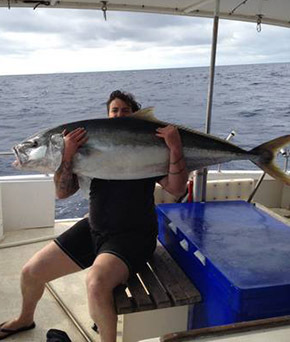 Mayor Island fishing trips have everything to offer from reef fishing for snapper and terakihi to the mighty yellow tail kingfish and bluenose ,hapuka, bass and with the summer months the big game move in tuna, marlin and swordfish. Mayor Island really has it all. We have plenty of beautiful reefs and islands around Tauranga to take 1st time divers up to advanced divers. 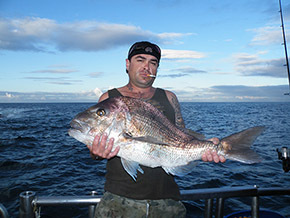 The reefs around Tauranga are full of Snapper Terakihi, Kawai Trevelly and Gurnard. With the decrease in snapper limits (7 per person) we are lucky to have a good variety of other species to fish. These fishing trips are popular with family groups and for work shouts. Underwater lights for night fishing – The Boat.